How seriously do you take video game racing? If you answered “serious enough to drop thousands of dollars on a state of the art motion simulator”, we’ll admit to being shocked. The Verso I Evolve Extreme is a bundle of specialized (and expensive) components designed to replicate the racing experience. 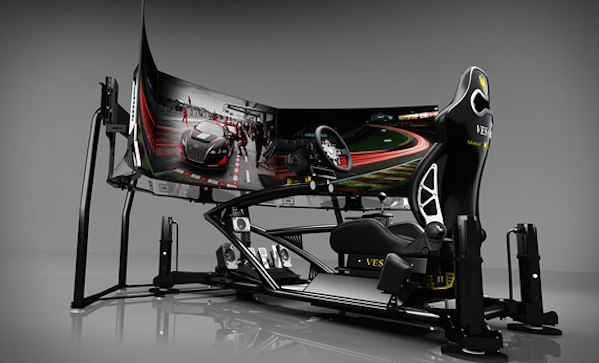 It has three curved display screens, two Radeon HD7990 graphics cards to manage them, surround sound, and motion technology that’ll make you really feel like you’re at Le Mans.